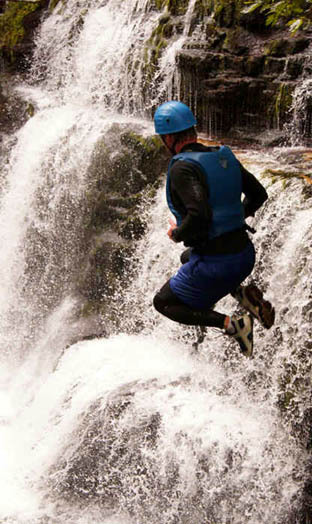 Outdoor Activities in the Wye Valley, Forest of Dean and Herefordshire. 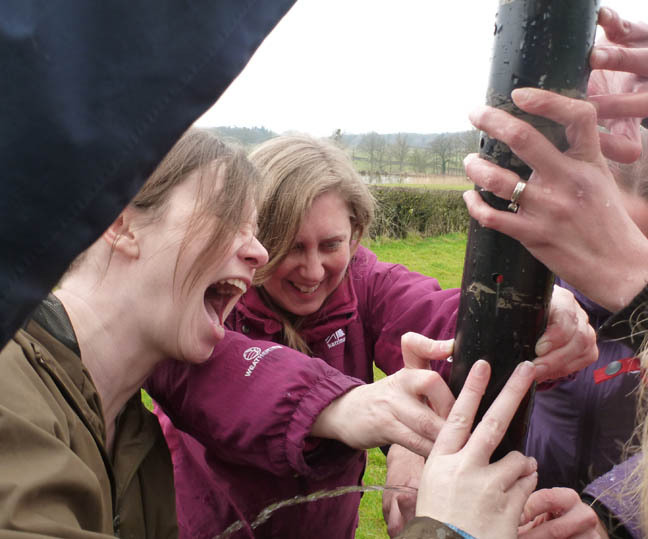 We provide outdoor activities in Gloucestershire, Forest of Dean, Herefordshire, and the Wye Valley as well as Monmouthshire and the Brecon Beacons in South Wales. But we are more than just outdoor activities, we use life coaching and NLP during our outdoor activities to make a real difference. 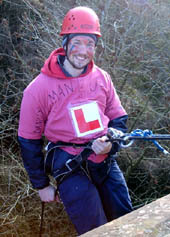 We can organise outdoor activities such as climbing, abseiling and canoeing in Gloucestershire and the Forest of Dean in the Wye Valley or for something different you could go gorge walking in Monmouthshire and Herefordshire, survival training in Gloucestershire or high ropes and raft building in the Forest of Dean. 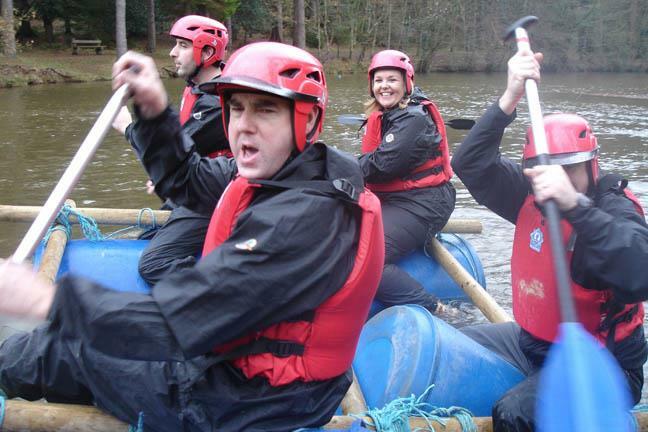 Our outdoor activities can be tailored to suit any group,any age and any ability. 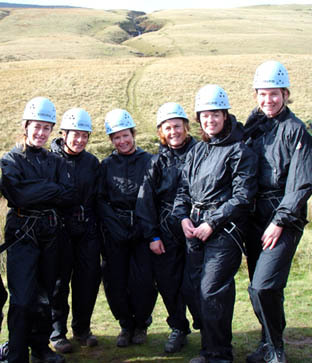 Whether you are searching for corporate outdoor activities for your company, something exciting for a group of friends to do, an outdoor activity that all the family could engage in, or just want something to suit a Hen Party or Stag Party, then we can provide a really different outdoor pursuit to suit everyone. 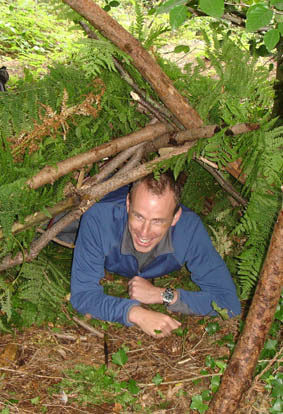 If outdoor activities seem a bit too strenuous then we can organise a Team Challenge or a Survival Challenge which are competitive fun sessions that anyone can do, no matter what age or ability. Being fully AALA registered we can also run sessions for youth groups, schools, colleges and clubs. 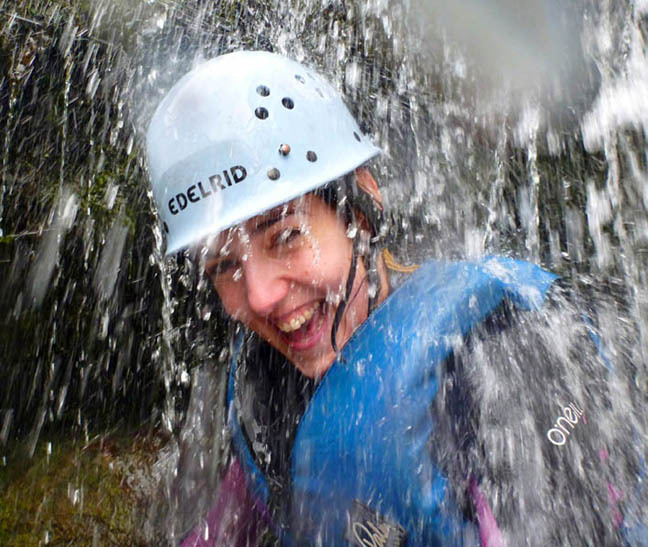 Outdoor activities such as climbing, abseiling and gorge walking need you to be reasonably mobile, but canoeing, survival training, raft building and Team Challenge are outdoor activities that can be done by anyone of any age. 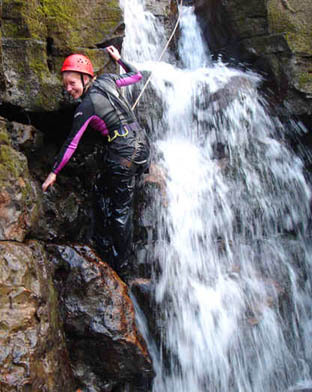 We can also provide multi outdoor activity days to suit your party, so if you want to have a day of climbing and survival training or a morning of abseiling and an afternoon of gorge walking then we can arrange and outdoor activity session just for you. Have a look at all of the outdoor activities on our web site and do feel free to contact us if you have any queries. If you already know which outdoor activity that you want for your group then just click on the link above for more details, but if you are not too sure about which activity would suit your group there is a brief description of each activity below to help you out. Don't forget we can mix and match any of these activities to give you and your party the type of adventure that you want. We have one of the most popular climbing areas in the country right on our doorstep at Symonds Yat in Gloucestershire, so if you fancy climbing up real rock or learning how to abseil down cliffs then this is a great outdoor activity for you and your group. All our climbing instructors are highly experienced and are chosen as much for their caring attitude as for their ability to get the most out of a group. You need to be reasonably mobile to go rock climbing but you can abseil at any age and ability. 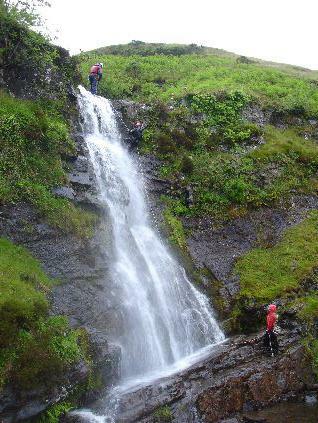 Locations for our Climbing and Abseiling - Gloucestershire, the Forest of Dean, Monmouthshire and the Brecon Beacons. 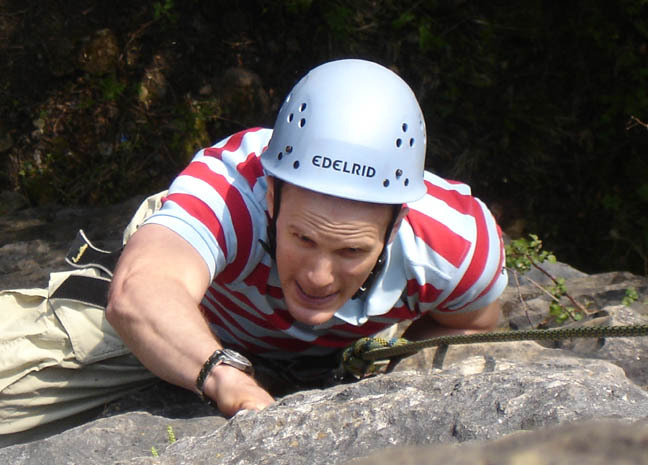 If you wanted to go climbing somewhere other than Gloucestershire, the Forest of Dean, Monmouthshire and the Brecon Beacons then we can arrange for our outdoor activity instructors to travel to a cimbing and abseiing venue near you and arrange for a great session to suit you. 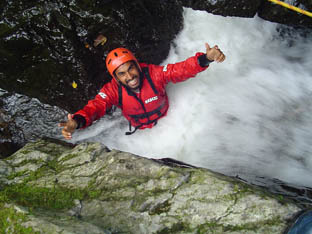 Gorge walking is the ultimate in outdoor activity thrills. At its simplest it involves you and your group scrambling up or down a river running within a steep gorge. 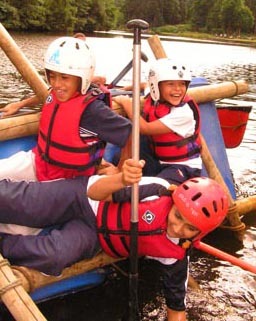 It is a great team building outdoor activity as everybody has to help each other to overcome the natural obstacles that they come across during the activity. These can range from crawling under fallen trees, climbing up small waterfalls, squeezing through short wormholes, wading through large tunnels or jumping into deep pools. There is always a place for you to do an abseil as well if you want a full days outdoor adventure and this just adds to the fun. 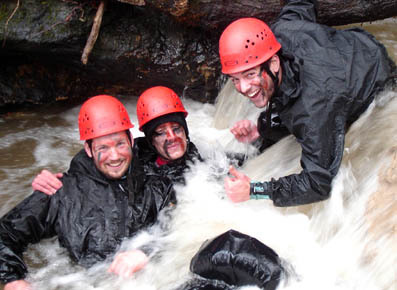 It is a really popular activity with Hen parties and Stag Parties as well as any well motivated group. If you want some real fun in the outdoors try this outdoor activity. Team Challenge is a great choice if you and your group want to do something really fun together but don't want to do traditional outdoor activities. It takes place in and around your accommodation so you don't have to travel anywhere. Your group is split into teams who then try to get as many points as possible by completing games, challenges and puzzles. It's fantastic fun and everybody has a skill that the team can use as there are a huge range of games, puzzles and challenges to choose from. This is the most popular activity for hen parties as it is a great bonding experience. If you fancy canoeing then we can take your group down the River Wye for a half day or a full day with a stop for lunch at Symonds Yat. 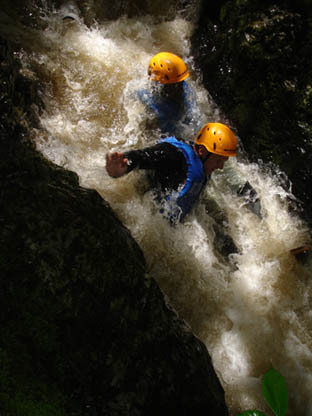 It runs through an Area of Outstanding Natural Beauty and is easy paddling with a few rapids to keep things exciting. 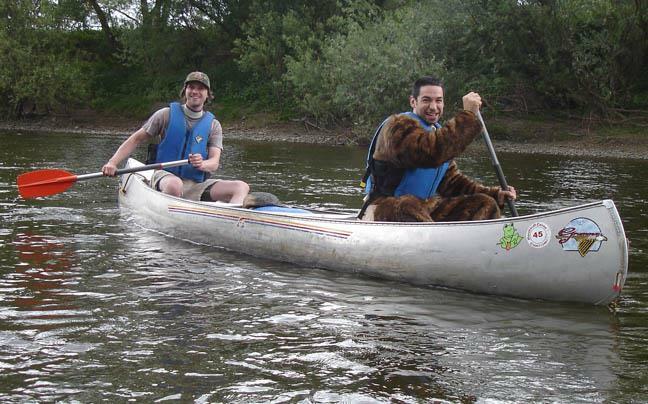 We will also teach you how to paddle the two person canoes and play a load of games along the way. This is a great introduction for complete novices or those of a delicate disposition (EG hung-over). Most people avoid caving but they would be missing a fantastic experience. All the caves we use have large entrances and you always have a choice of the size of holes that you want to go down. It is a fantastic team building activity and can be a great opportunity for different members of the group to shine. 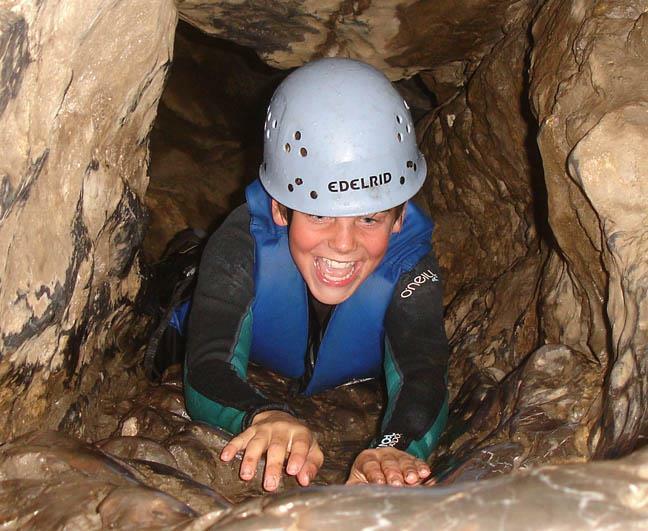 If you want to try something really different come and see what caving is all about. A really fun event with no skill or ability needed. You are given all the equipment, instruction and encouragement you need and then its up to you. Just build your raft, launch it and then hopefully paddle it around the lake before it breaks up. It's a great team building/bonding event for all ages, and abilities so if you are after a fantastic time with your party then try raft building. If you want to try something completely different then book up your group for a survival training session. 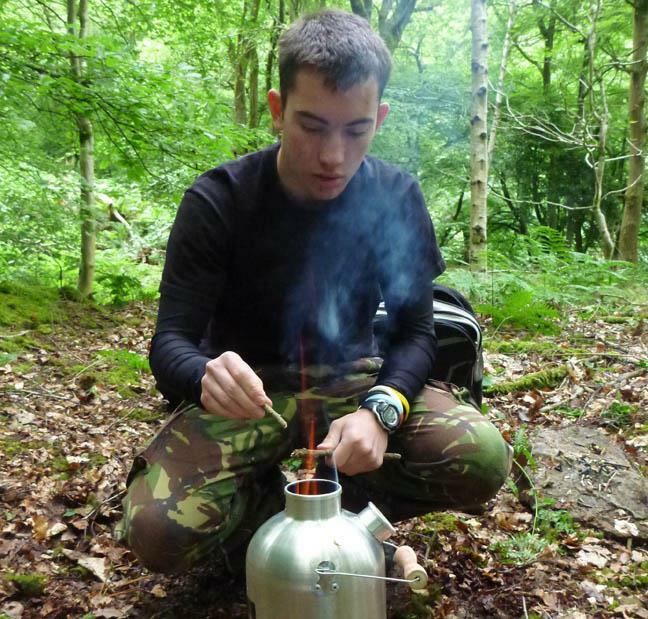 You will learn to light fires, forage for wild food, prepare wild game and cook it. You will also learn to build your own shelter and how to survive out in the woods. Our ultimate aim is to give you and your party the most fun, the most excitement and the best adventure that you have ever had. And don't feel intimidated by the photos, we always start every outdoor activity gently and teach you all the skills and techniques that you need along the way. By the time you get to any tougher parts you will be more than ready for them and if you feel that you don't want to do a certain challenge then there are always other options. During the outdoor activity session we will be taking photos and videos of you and your party. We will then send you all the pictures so that you can relive those moments again and again. If you want to bring your own cameras or camcorders we will use them when we can but it will be at your own risk. 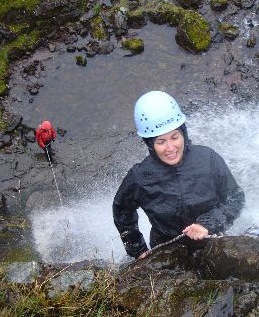 Reviewed Gorge Walking Wales - 5 star. 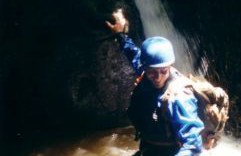 Had a great time Gorge walking on a stag doo. From start to finish it was an absolute pleasure booking. Michael and Becks made the day really fun and challenging. Would highly recommend it and will hopefully be back for more some time myself. Michael brought along his own camera and shared the photos with us. Nice touch. Just wanted to drop you a quick email to say a big "Thank you" for a wonderful and memorable day yesterday. We all had an absolutely exhilarating day - enjoyed every moment. Was a pleasure to meet you and who knows, we may be back in the near future to try the other gorge walk dad mentioned today "with a big 26ft jump". Just wanted to say thank you very much for a spectacular day, we all thoroughly enjoyed ourselves and want to go gorge walking again immediately!What topped it off was the fact that you're quite obviously very knowledgeable and passionate about the activities and you take a true interest in teaching others your knowledge and skills - it really was a fantastic experience that has left me hungry for more! Michael, Thanks for such a great day for my brothers stag weekend in Wales. The gorge walking was everything I had hoped for, and I thought you and Matt were both great guides and great sports towards our whole group. All the boys were buzzing about it for the rest of the day! I may well be in touch about a coasteering day or another gorge walking day (perhaps the one with abseiling). Also, thanks for capturing some great photos, and accommodating our varying group size. Stag weekends are difficult to organise, and I appreciated the flexibility in group size that you accounted for. I'll be sure to recommend gorge walking and yourself to others! Hi Michael A massive THANK YOU from all the girls..... (Sooz, Lynds, Sal, Lotty, Sam, Kathy, Kate & Jane). We all had the most fantastic, challenging & exciting experience...!You were amazing :o))) We are all looking forward to our next trip in the Spring of 2016. Just wanted to say a massive thank you, we had an amazing time! !the gorge walking was SO much fun and everyone loved it. You did a brilliant job of challenging us and making the day great fun. I can't wait to see the photos and I am sure we will be back, so will be in touch soon!Many thanks. I just wanted to say a huge thank you to you and your colleague for the fantastic gorge walking day we enjoyed on Friday. You were friendly and patient with us and we found it hugely challenging and rewarding. The whole party said they had a great time. Best hangover cure ever!!! Thanks again. P.S. The pics are great. I would like to take this opportunity to thank you and Dave for making it such an amazing day for all of us. We have not stopped smiling and talking about the gorge walking all weekend. What a fantastic afternoon. We were a small group of mixed ability stag-weekenders and couldn't have asked for more. Michael, our leader, was supportive of the group throughout, setting the pace to match our ability. Starting out we learnt the relevant techniques we'd need later in the day, with a focus on safety and teamwork. We then took it in turns to lead our way up the gorge with various targets set as we went along (like staying dry!). Highlights for me were the headfirst shimmy down a very narrow 45 degree angle tunnel, and a couple of heart stopping leaps from waterfalls. Provided with access to photos of the event on-line afterwards. Whole event was safe, professional, and most importantly a great deal of fun! We had an absolutely fantastic time gorge walking on Saturday it was good to meet you, Miv and Steve and thank you for your help and patience! I have already had 4 emails from the other girls saying how good the activities were and how much they enjoyed them. Just a huge thanks for sat everyone said the climbing and abseiling was one of the best things they have done for a long time. Was brilliant. Can't wait to see the photos. What a fantastic day!I think it's fair to say everyone in the group got a little apprehensive at some point during the abseiling or gorge walking!However, with Michael's calm coaching approach everyone completed all that was asked of them with a huge sense of accomplishment. We'll be back! 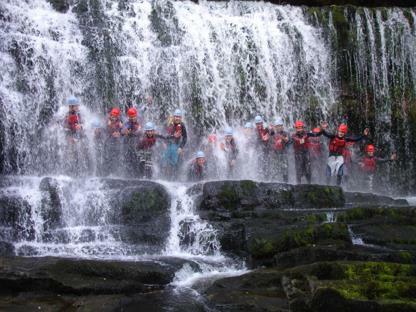 Thank you (and Dyfed) for an awesome day, everyone really enjoyed the gorge walking and abseiling and want to go on the bigger one next time. Thanks again to you and Ali for a phenomenal day out. Without a doubt it was the highlight of our trip! Thanks for a great day on Saturday, the girls had a really good time and lots of laughs!We can live on Tammi's driving experience all year! Amazin! !Thanks for a great Stag Day out, the lads thought it was amazing. Our thanks to the other instructors for their enthusiasm and humour. Thanks for the cd of photos, received them yesterday, there are lots of amusing pictures!! !Thanks also for all of your help to make it such a memorable and enjoyable day, it really was fabulous. Hi Michael! 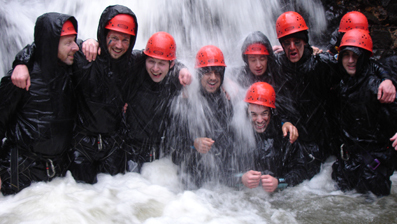 Just to say thanks again for the gorge walking in Wales on Saturday - everyone really enjoyed it. Although I think there were a few aches yesterday, and they weren't just down to hang overs!! If you could send the photo's as soon as you can as we all want to see them. we all had a fantastic time, we really enjoyed ourselves it was a day full of challenges and laughs. Chris and David were great really supportive whilst abseiling and gorge walking, very patient and good fun to be with. We would all sign up and do these activities again, it was a fun memorable weekend. Thank you for a really fantastic day gorge walking in Herefordshire, the children all loved every minute of it and so did I.